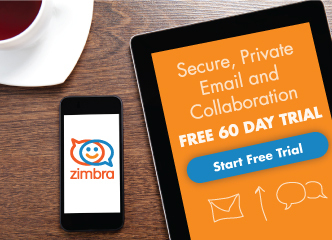 Do you use your Zimbra mini calendar? Know what the mini calendar is? It can save you a lot of time when you create appointments! Note: If you don’t see a mini calendar, either your organization has not enabled the mini calendar or that preference is turned off. To turn it on: Preferences > Calendar > Always show the mini calendar. If you still don’t see it, contact your System Administrator or email service provider for more information. From an email: This is an excellent shortcut because it opens an appointment tab that automatically includes everyone in the email to/from/cc lists, the content of the email and any attachments from the email! Click here for a demonstration. From any Zimbra tab: As shown below, right-click any date on the mini calendar and select New Appointment. 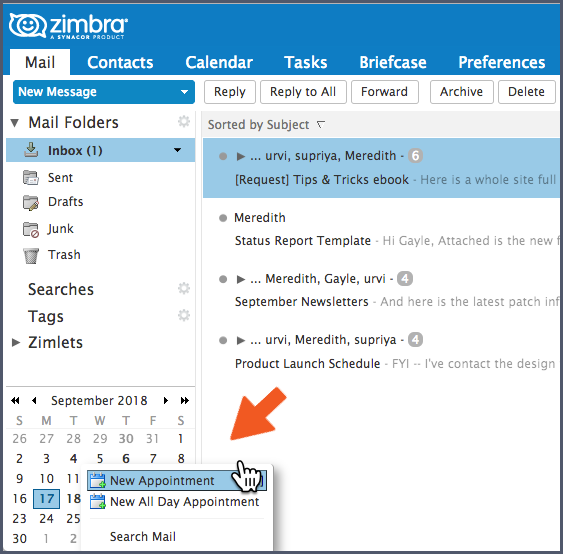 You do not need to be in the Zimbra Calendar tab to create a new appointment.